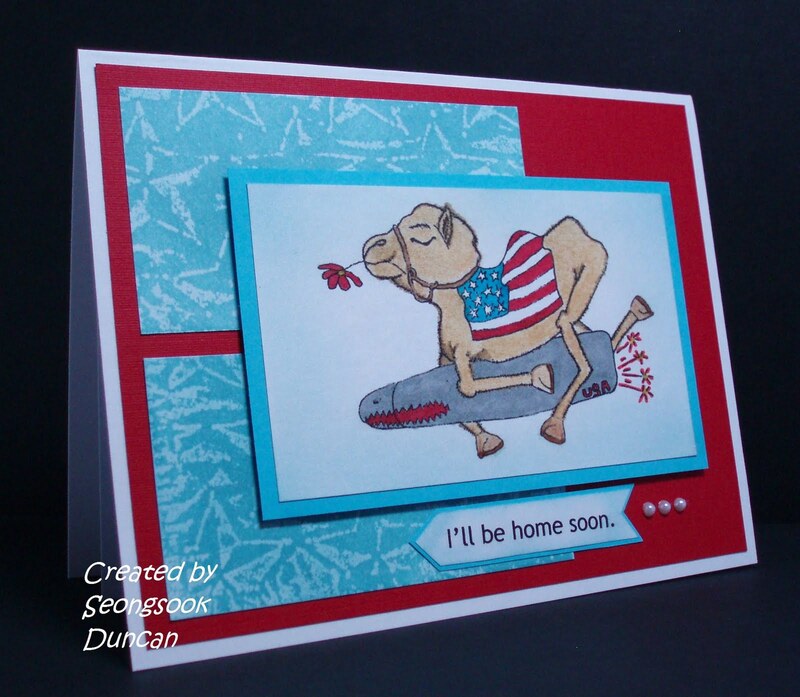 I made this card for OWH S&S Sketch #20 challenge and for Don't Worry... Be Scrappi: OWH Memorial Day Weekend Bloghop Challenge by using "Oscar" digi image. I used the background paper that I experimented the Wax Resist Technique. You can see the tutorial video that Sandy presented on her blog HERE. I printed the sentiment from my computer. I thought it would be well received by Any Heros' family. I got an idea about it from Sandy's blog, too, HERE. I made another card with the same sketch for OWH S&S Color Challenge: Pot of Gold. The challenge is to use gold on your card without using any kind of glitter products. 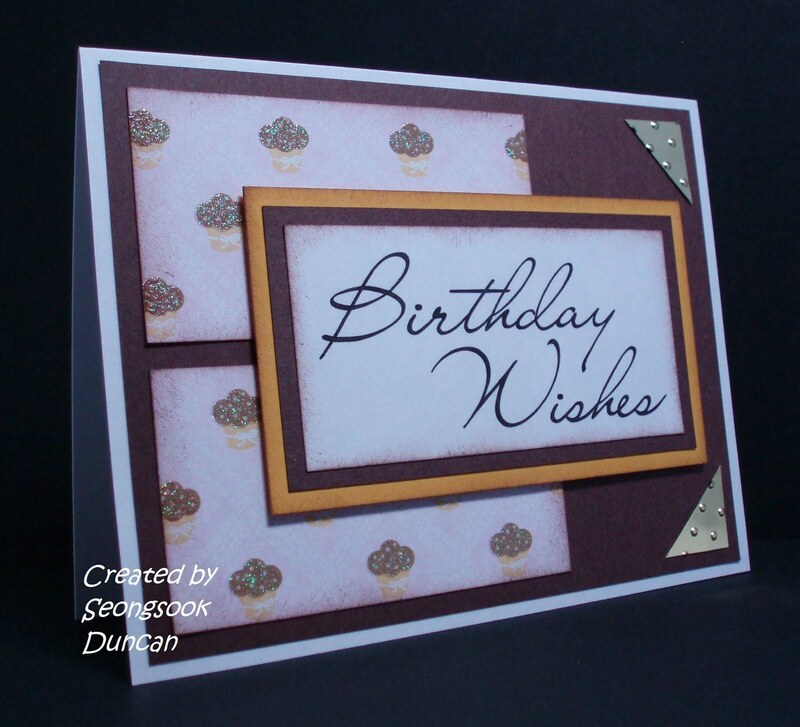 I added gold metalic embossed corners on this card. 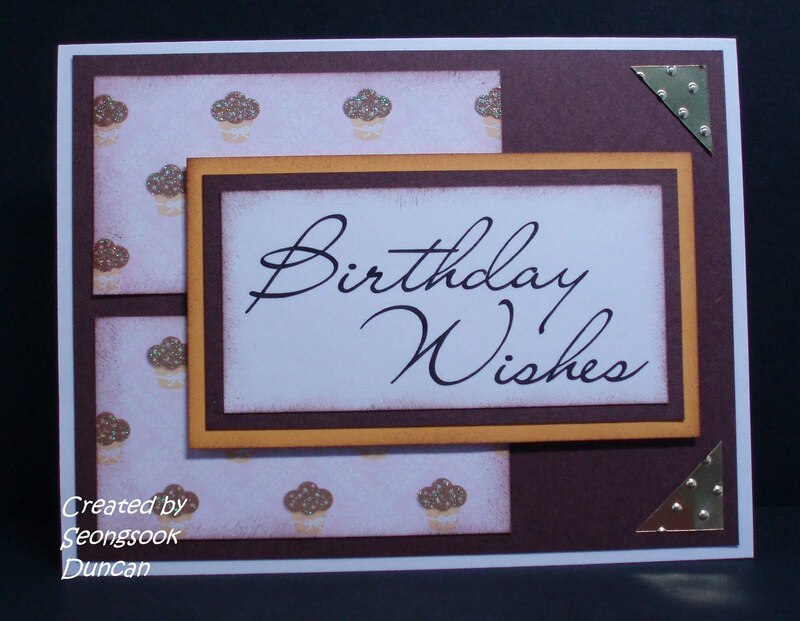 I cut out the gold metal square and embossed it with Cuttlebug Swiss Dot EF. I think this card can be a nice masculine card. Love the gold corners, very nice! Both cards are fabulous! 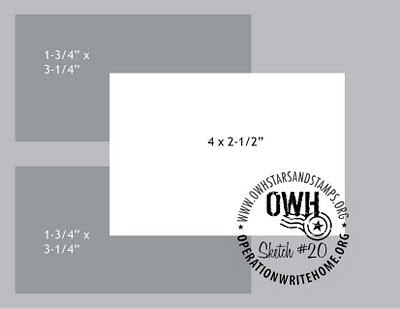 Great use of the OWH sketch. 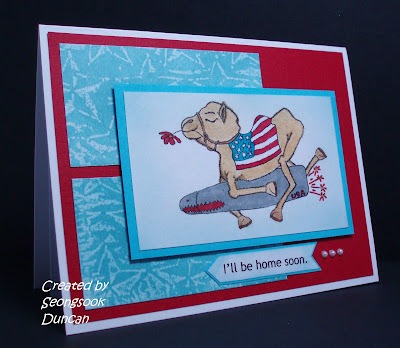 Great job on both cards.....I need to try Oscar,too....thans for the inspiration!! Nice job on both your cards! I finally got that star embossing folder that I couldn't resist after seeing your blog hop card over Memorial weekend, lol. Now I need to try the waxpaper batik with it! Beautiful cards! It's so much fun to see how inspiring the blog hop was. I'm adding that wax resist technique to my must try list. Seongsook, great cards! Just imagine, someone is going to treasure that "coming home" card for the rest of their life. Well done! Both cards are totally awesome!!!! Love the sentiment you created for Oscar! Thanks for stopping by my blog and for the good wishes. 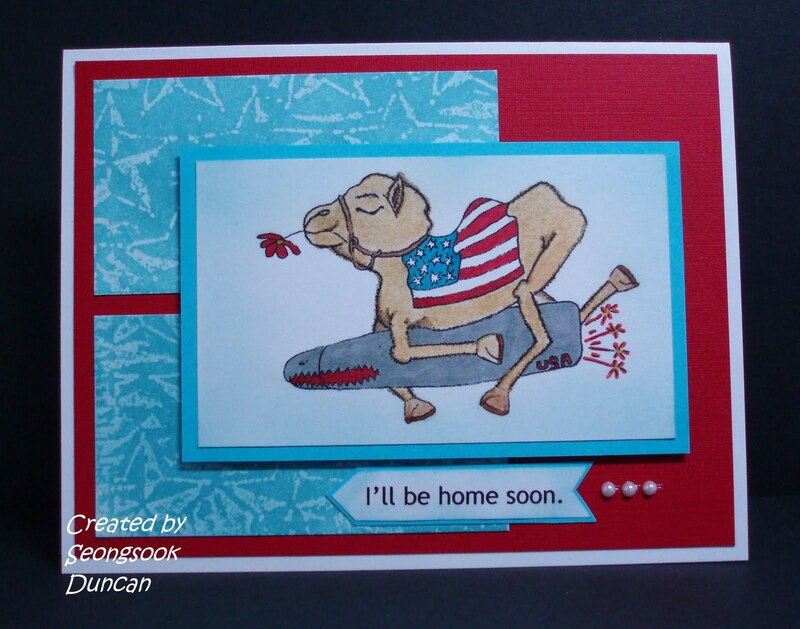 Love the be home soon card! 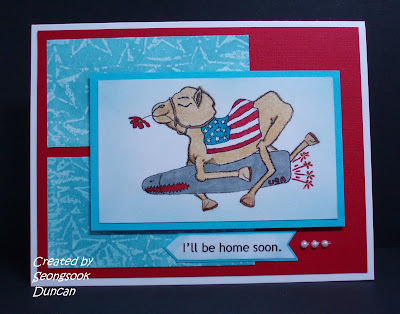 your camel card is genius! absolutely fabulous! and your birthday card is stunning! Seongsook - you outdid yourself on these beautiful cards. That sketch is just so versatile. Thanks for participating in the challenge. Thanks so much for visiting my blog during the OWH blog hop & leaving a sweet comment. Very nice, I love both your cards!! !